Designs celebrates 25th anniversary with Christmas campaign. Signage and vehicle branding company Designs is celebrating its 25th anniversary with a Christmas campaign to support some of the city’s most vulnerable. The company’s in-house design team will wrap one of its vehicles to create a Santa’s Grotto on wheels which will deliver presents to Barnardo’s, Hull Women’s Aid and the city’s Preston Road Women’s Centre. It has also arranged for drop-off locations to be set-up in Hull and Beverley where people can donate gifts for Designs to distribute. “We’re experts at wrapping everything from a van belonging to a single local tradesman to a fleet of vehicles operated by a national company which is where the idea for our It’s a Wrap! Christmas campaign started,” he said. “We also wrap walls and buildings of all shapes and size so we thought there was no better way to celebrate our 25 successful years in business than to use our skills to create a mobile grotto that will collect donations and deliver them to families who need our help this festive season. 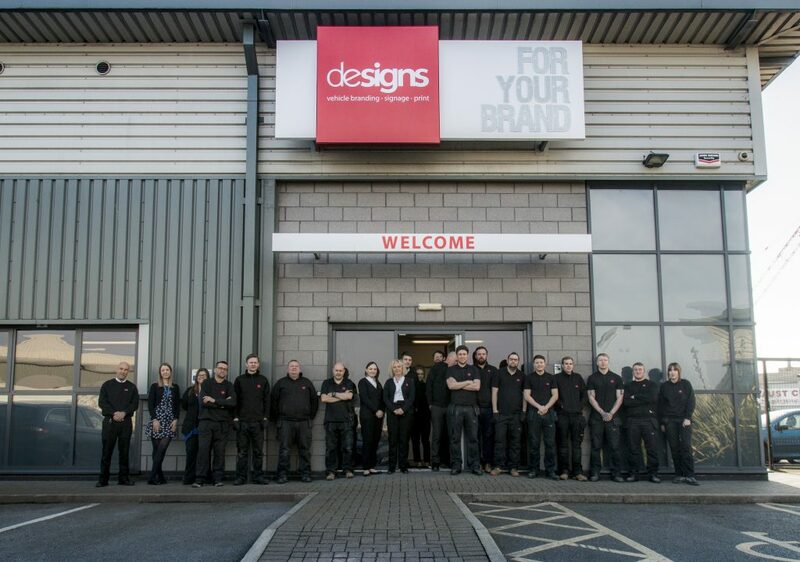 Designs employs more than 35 people at premises in Innovation Drive with a 10,000 square foot workshop. As well as offering vehicle livery services, it is also a market leader in signage and has carried out projects in industries including retail, education, commercial and property development. It also boasts major clients in the sports sector, including Premier League and European football clubs, rugby league and union sides as well as indoor competitions like the world darts and snooker championships. It’s a Wrap! present drop-off locations can be found at St Stephen’s and Princes Quay shopping centres in Hull and Flemingate shopping centre in Beverley. They will be accepting donations until Friday, 14th December. Be the first to comment on "Designs celebrates 25th anniversary with Christmas campaign."